The Arts Council Korea announced Monday the appointment of Kim Seung-duk to curate the Korea Pavilion of the 2013 Venice Biennale. 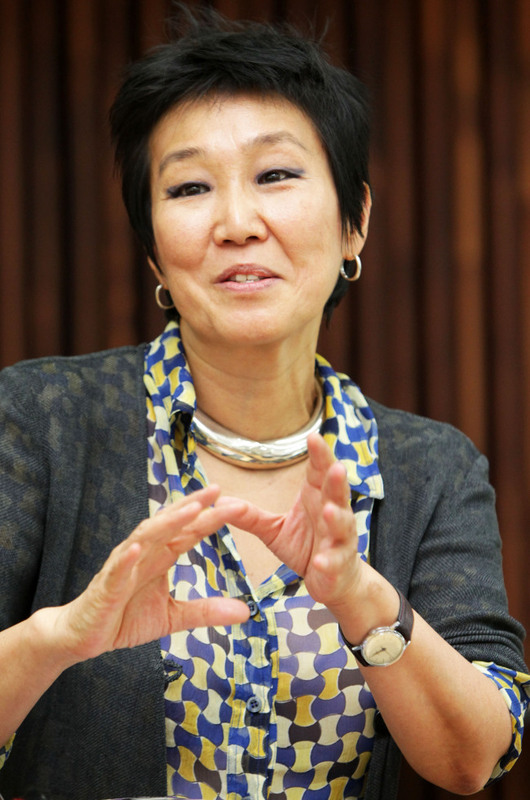 A nine-member group of art experts selected Kim as the commissioner for the Korean exhibition for her expertise in and knowledge of international art as well as international curatorial experience and a broad network that can effectively promote Korean art to an international audience, the council said. “I am honored to be given an opportunity to work for the Venice Biennale Korea Pavilion,” said Kim at the news conference on Monday in Seoul. Kim, 58, is the director of international exhibitions at the French contemporary art center Le Consortium and project director for city development projects of Doha, Qatar. As a leading curator and writer, she has staged numerous exhibitions in Korea and overseas including those showcasing the works of Korean artists to the international art scene. Although she has been living abroad since 1973, Kim said she kept herself updated on the latest Korean art trends and wrote art columns for magazines. In her new role, Kim said she will consider the architectural style of the Korea Pavilion, the latest trends in Korean art as well as the purpose of the national pavilions at the Biennale. She hinted that she will not present a solo exhibition, but will consider combining different art fields such as music or video and come up with ways to better represent Korean art. “I will do my best to show the world what is Korean art and shed light on Korean artists,” said Kim. The Korea Pavilion was established in 1995 and has had commissioners in charge of presenting exhibitions. The Korean Pavilion at the Venice Biennale was the second Asian pavilion to be opened after Japan. The 2013 Venice Biennale will run for six months from June to November.